On January 1st electricity prices went up and homeowners can expect to see a 3-6% increase on their bills. Given this price hike, home owners and community presidents are actively looking for ways to cut their consumption with the aim of reducing bills and lessening their impact on the environment. As we told you last week, Endesa are rolling out Smart energy meters for all their clients, which means customers will be charged on their actual use every month rather than relying on estimations. The Smart meter also shows where the electricity is actually being used, so consumers can identify the most power-hungry items and you can learn to use these less, in a smarter way, or look for power-saving alternatives. Disconnect plugs which are not being used, phone chargers etc. Investing in home solar panels could reduce your electric bill by up to 80%, they are likely to pay for themselves within 5 years, you could even sell back any energy you produce to the power company. Make it your New Year’s resolution to reduce energy bills in your property and throughout your urbanization and share these useful tips with other owners via your community website. There have been a few new EU directives brought into effect regarding saving energy (Directive 2006/32/EC and Directive 2009/72/EC and most recently Orden ITC/3860/2007.  The Spanish supplier of electricity Endesa has sent letters to their clients to inform them that in order to comply with these regulations they will be putting in smart electricity meters which will allow homeowners to see where their energy is being used and help them to be proactive in reducing consumption. The meter will also include a mains isolator which will trip a fuse if there is a power surge or similar, protecting equipment and homeowners. This will be installed with the new meter and activated immediately. The process of changing the meters will take place over the next quarter and the good news is that because the meter is on the outside of the property there’s no need for you to be there. However, if the meter is located within the urbanization and access is required, then Endesa will contact the owner or the community president to arrange a convenient time. Once the meter has been replaced you will receive a letter from them to confirm that it has been done and informing you that you can access the meter to learn more about how you are using your energy. This letter will include information on how to read the meter and of course, we’ll let you know what that says as soon as we receive it. The installation of the new meter is free of charge but there is a monthly cost of hire of the equipment as before of 0.81 Euros a month which is simply added to your bill. One big advantage of these new meters is that in the future bills will be based on monthly readings and will remove the normally inaccurate estimations which can cause you to be charged for more than you actually use. If you need more information the Endesa website has good information about it, but in Spanish of course. Please feel free to ask us any questions and we’ll do our best to help. In our next post we will be giving you tips for saving energy and the price rises which are on their way. Please communicate this important news with your community via a notice board, email or community website so they can understand the changes and save energy. The Spanish Tax Authority is now taking unpaid taxes direct from bank accounts. In 2011 they started with some Warning Letters, The tax authorities sent 300.000 letters to non resident property owners, informing them that there is no record of them paying their Non Resident taxes. A number of Spanish home owners have recently received a rather surprising phone call from their power suppliers claiming that they have an outstanding amount on the account (sometimes thousands) which needs to be paid immediately – failure to pay immediately will result in the power being cut off and the meter being removed.